The day started with five hours of sleep and a delayed flight from New York City to Denver. 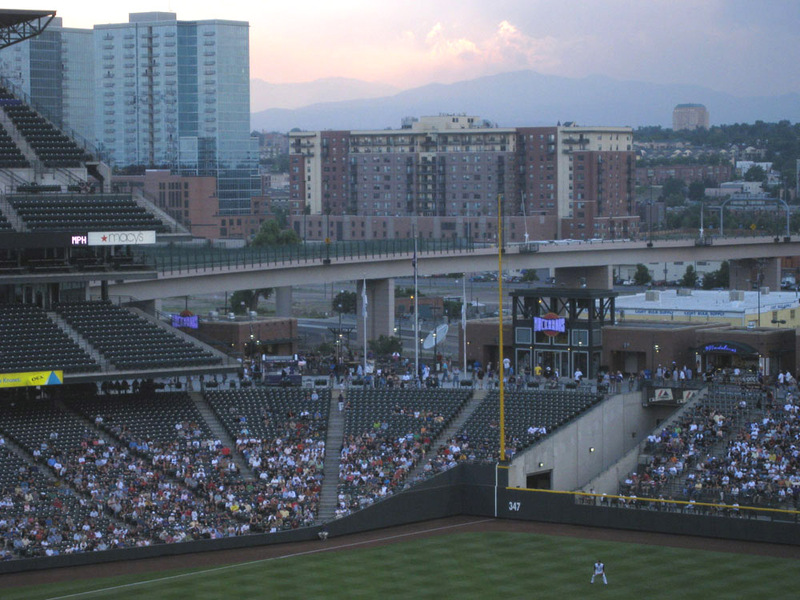 My friend Dan Sauvageau (who has caught 36 home runs on a fly during games) picked me up at the airport and drove me to my hotel, and soon after I made the 15-minute walk to Coors Field. 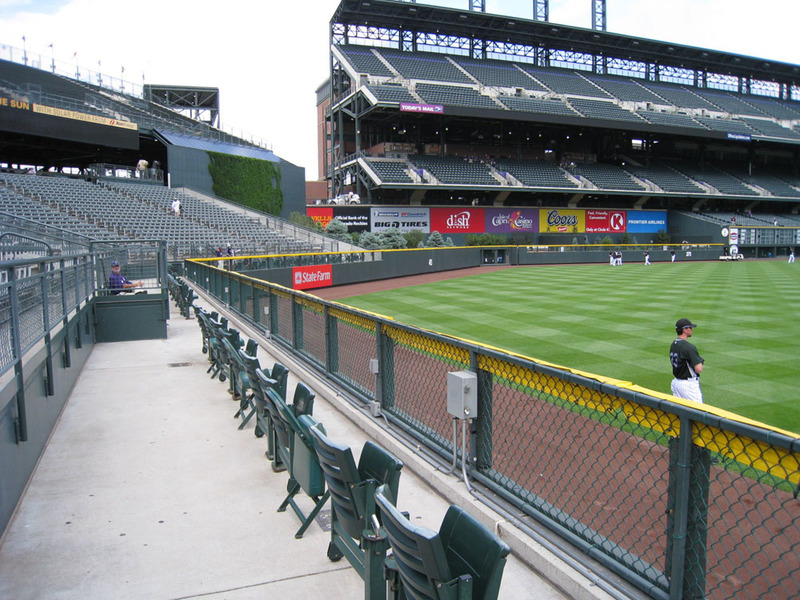 The front row at Coors Field is THE place to be for batting practice, and I wouldn’t have been able to go there without a front-row ticket. I was psyched just thinking of the opportunities, but I knew I had to play it cool. I’d heard that the ushers weren’t too fond of ball-retrieving devices (like my glove trick), and I also wanted to be respectful of the regular ballhawks who hang out there. Dan was one of them, and Robert Harmon (the guy from my Bonds 762 story) was another. This was their den. I didn’t want to barge in and act like a jerk. In the photo above, you can kind of see the number on the back of the nearest player’s jersey. It was number 23…Ryan Speier…the guy who’d given me his glove on 9/29/05 at Shea Stadium. After the “glove incident,” I didn’t see him for a couple years, so I was shocked when HE remembered ME. That was in Philadelphia. Now, here we were, a year later, in a different time zone. Would he still remember? “Sounds like you’re getting some good press,” he said. “Yeah, I’ve been to your web site,” he said. Just then, the batter happened to hit a ball that rolled right to him, and I didn’t bother asking for it. I figured there’d be no way that he’d give it to me, but he scooped it up and said, “Here,” and flipped it my way. And that was pretty much the end of the conversation. My second ball of the day was a ground-rule double in left-center field. I could’ve actually caught a couple home runs by that point, but one of the regulars, an older guy named Danny (who caught Bonds’ 698th career homer), was hanging out nearby and I felt guilty about reaching in front of him, so I let him take a direct route to the edge of the wall, and I hung back in case the balls sailed over his head. On one of the homers, when the ball was at the top of its arc, I actually said to him, “Fine, you can have it,” and sure enough, he reached up right in front of my face at the last second and caught it. He appreciated my courtesy but also encouraged me to compete with him and the other guys for balls. The Braves took the field, and I got two balls thrown to me within five minutes. 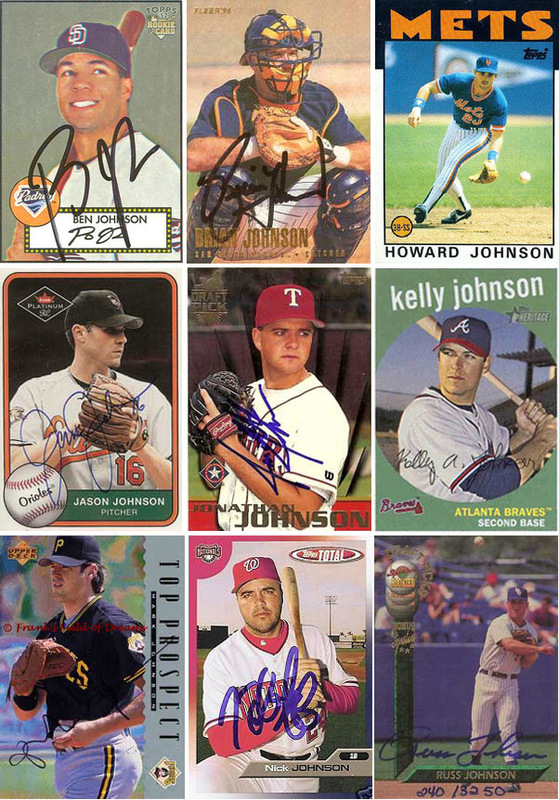 The first came from Brandon Jones and the second (which I later gave to a little kid with a glove) came from Jeff Ridgway. I finally got to use a little athleticism, and Robert was the unfortunate victim. One of the Braves batters hit a high fly ball that landed in the middle of the warning track in front of me. Robert had time to run over just before the ball hit the ground, and when it predictably bounced high above our heads, it was a straight-up battle of vertical leaps. There was no trash-talking. No shoving. No bitterness. I actually said “sorry” right after I gloved the ball and Robert gave me a high-five. Danny told me I got some “nice air.” Everyone was happy. The competition was friendly. It was the total opposite of Yankee Stadium. Braves’ dugout to try to get a ball when all the players and coaches came off the field. 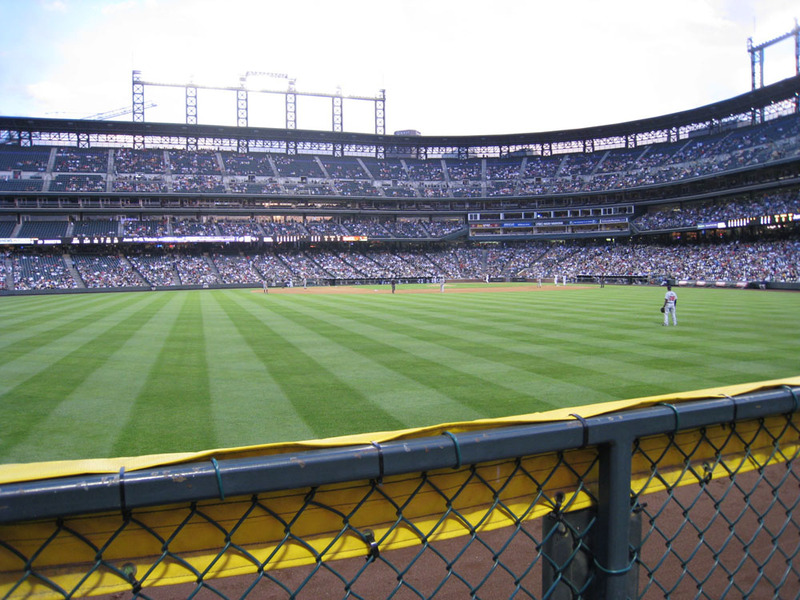 So at about 6:10pm, as one of the rounds of BP was winding down–the last round, as it turned out–I found myself all the way out near the end of the left field pavilion, about as close as you can get to center field. There was a lefty in the cage (not sure who), and he ripped a deep line drive in my direction. There was no one else standing anywhere near me, so I shuffled over a few feet and got in line with it. The ball hit the edge of the grass just before the warning track and skipped up toward me. 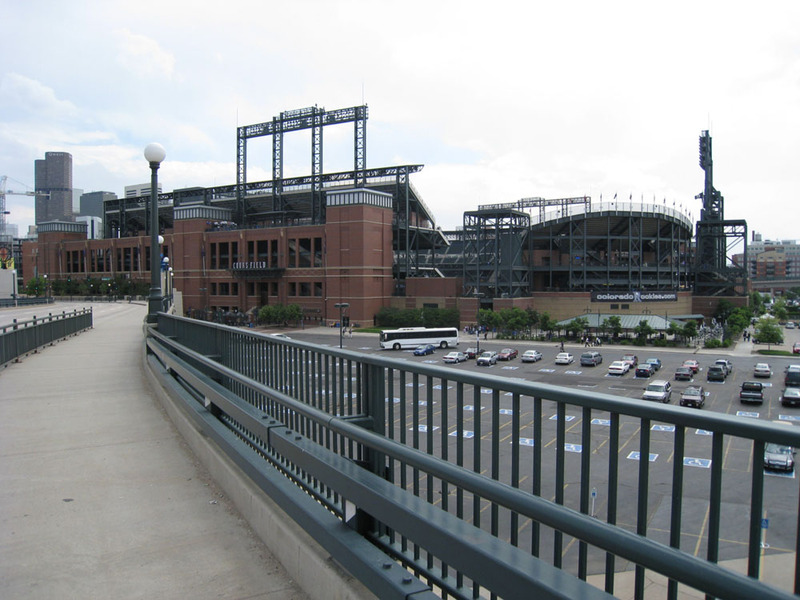 I leaned over the wall and made the catch, and when I looked up I saw all the Braves running off the field. It had been the very last swing of BP. 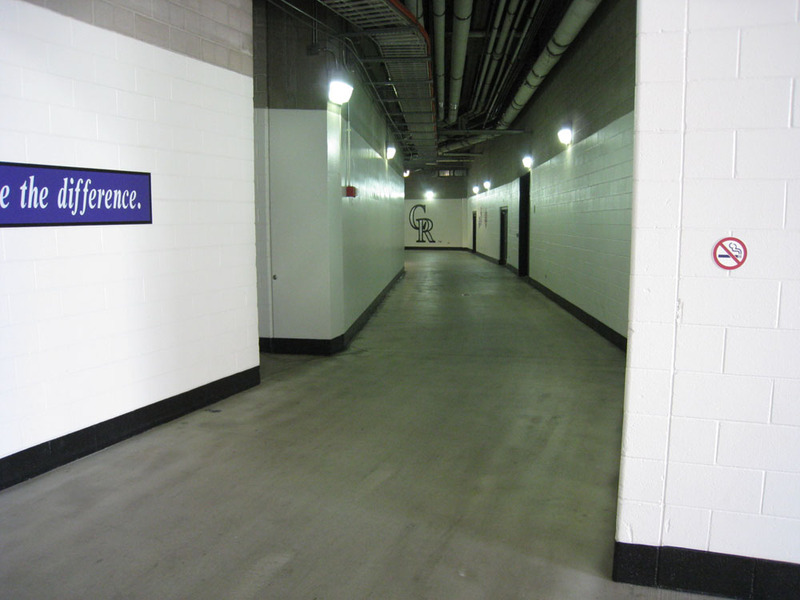 Soon after, Robert and Dan gave me a tour of the under-the-stands concourse that’s only accessible to players, employees, and fans with front-row tickets…and I have to say, it was pretty cool. At one point, we saw a Braves player (I think it was Manny Acosta) just sitting against the wall, wearing shorts and a T-shirt, talking on his cell phone. Back in the seats, I met two fans who’d brought their copies of Watching Baseball Smarter for me to sign. The first was a guy named Don, who leaves comments on this blog as “Rock Pile Ranter,” and the second was a Braves fan (who reads this blog but doesn’t comment…yet) named Caroline. I also met several other fans who recognized me and just wanted to say hey. I was about 1,600 miles from New York City and felt like I was home. Of course, I wouldn’t be showing you this pic if I didn’t actually GET the ball. 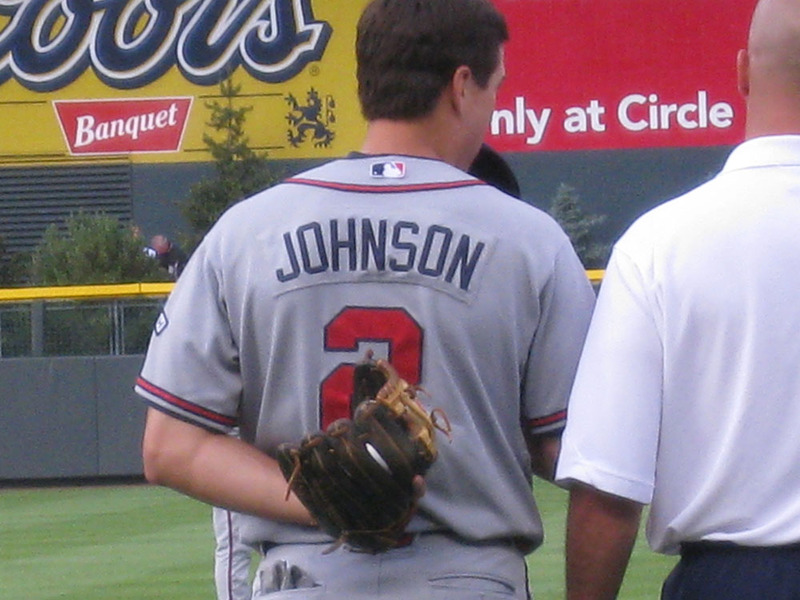 As soon as the music finished, the guys continued playing catch, and since I was the only fan wearing a glove, Johnson had no choice but to toss it to me when he was done. I worked the dugouts for third-out balls for the first few innings and didn’t get a thing. I was annoyed, obviously, every time Mark Teixiera jogged off the field and flipped his ball to grown men without gloves, but for the most part I was okay with it. 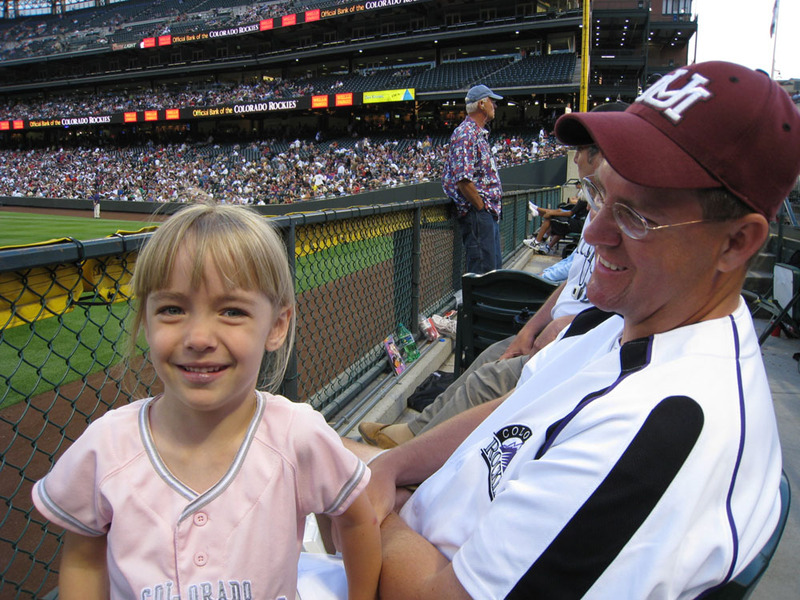 My goal was to familiarize myself with the dugout seats so I’d be able to dominate the next day when the AP guy would be with me. Was it easy to sneak down? Which staircase was best? 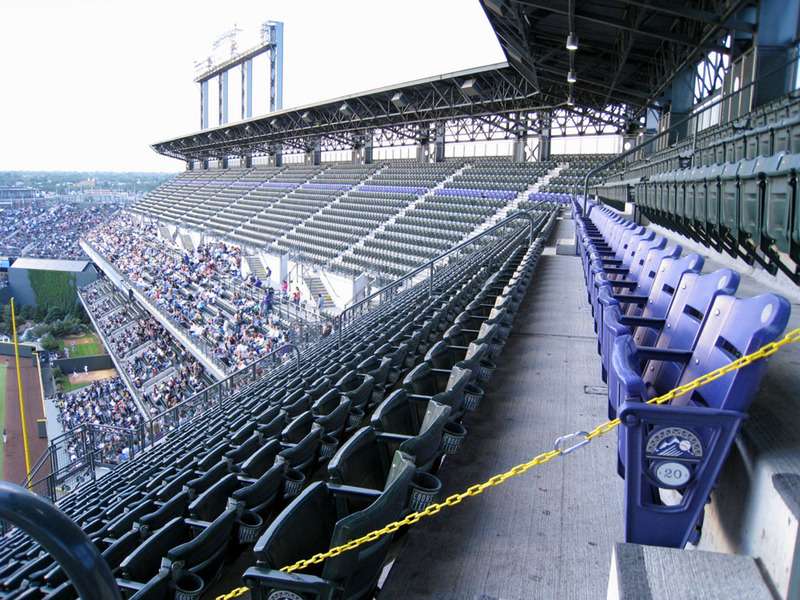 Were there enough empty seats on the ends of rows? 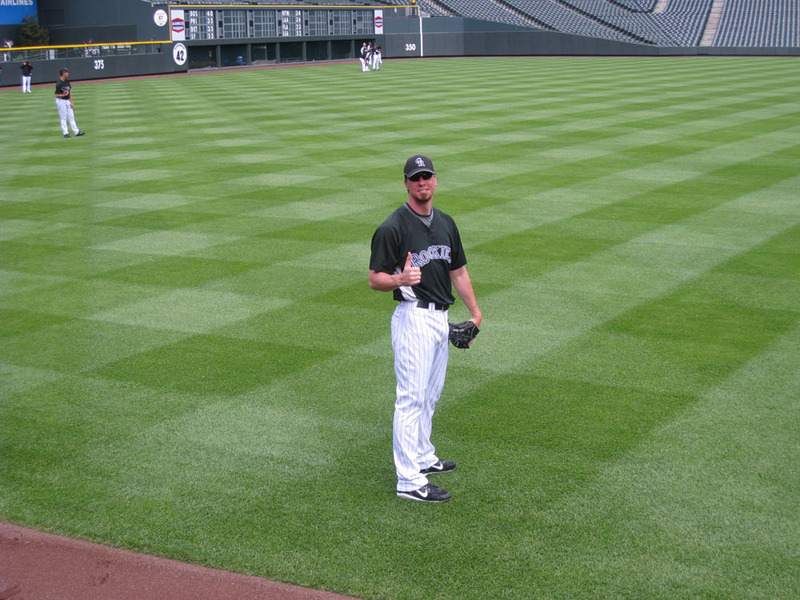 I quickly answered my own questions and then headed to the upper deck to play with my new camera. 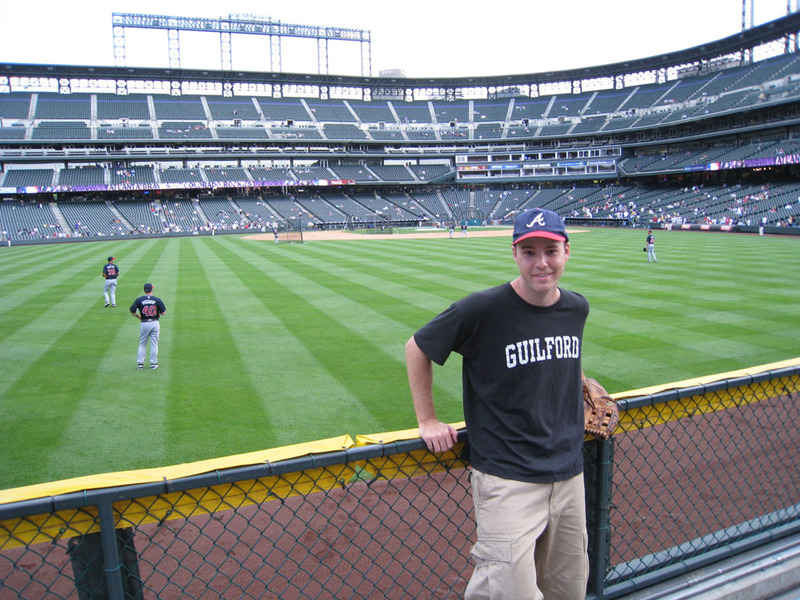 I took off after the eighth inning and went to the Braves’ dugout, hoping to get a ball after the final out. Final score: Braves 7, Rockies 1. Chipper Jones went 2-for-4 with a walk to raise his batting average one point to .403.
? 179 balls in 23 games this season = 7.8 balls per game. Can I use the picture of the bullpen as my desktop background ? It’s a great shot. Hey, Zack nice game and good luck with the AP tonight, and what do you think of our beloved Mets getting rid of Willy, and replacing within the organization. Wow. A whole post without mentioning Willie. There was just a homer hit to where zack sat last night. Thats just bad luck!! Start spreading the news……Padres lose. So glad I didn’t make the trip East for that one!! What a terrible game for the Pads. Yankees looked good. An Abomb and two Steroid bombs do us in along with shoddy defense. How did you do in BP? Get any balls from the Padres? Anyone else get balls or autos? I’d like to know. Good luck tonight in Denver. Hope it is a prosperous game for you. Looking forward to your next entry. I’d like to see you and Zack go head to head for a game homer. I know you have the height advantage. I say you both miss it and Emily gets it. Good luck to both of you. 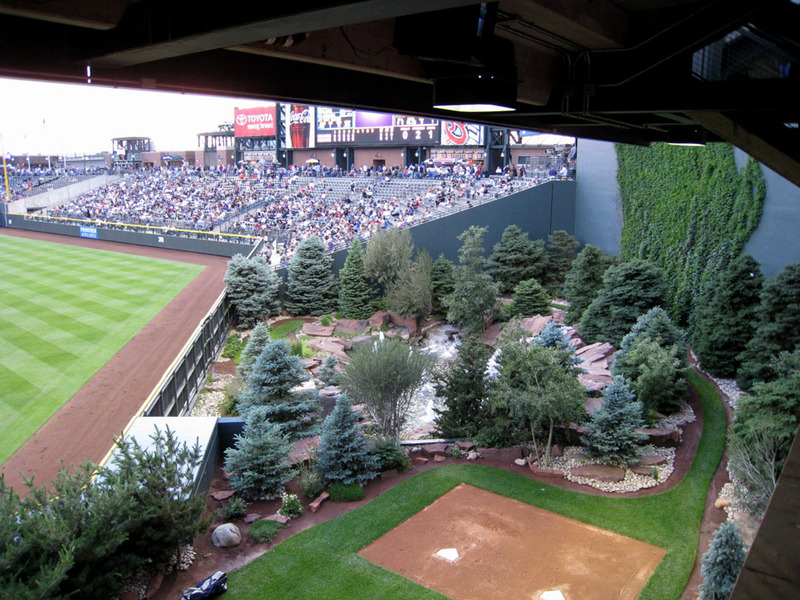 That’s too bad they don’t allow the glove trick at Coors. Thank god Bavasi got fired from the M’s. That firing was WAYYY overdue. Anyway, good luck tonight with the AP! That scoreboard looks a lot like the one at citizens bank park. ZACK I JUST GOT A START LAST NIGHT SNAGGING. I GOT ONE BALL AT A APPY LEAGUE GAME. THE PRINCETON RAYS LOST TO THE PULASKI MARINERS IN A 12 INNING GAME. DO YOU EVER GET TO COVER APPY LEAGUE BALL ? YOU SHOULD COME DOWN AND SEE US SOMETIME. What hotel did the Padres wind up in? Nice work on the autos. Headley just got called up. Did you get him on a card or ball? I’d like to get his auto myself. I’m also going to try my hardest to catch his first MLB Home Run on Friday against Detroit in LF. Trevor’s kids will throw balls up. You just have to ask em nice. I’ve got some from them. RF is the place to be for BP for sure. Glad to hear about the 20 bucks. I found a 20 on the trolley last year. It was sweet. i didnt even ask. the players werent even throwing. i wish i knew they were gonna be there i woulda put them on my roster sheet! the kids were good too. they had all had guns, and could really catch. there was also an asian teeneager. i dont know if he was someones kid, but he wasnt socializing with the players like trevors kids, and then it lokked like he was the Padres bat boy during the game, but he looked too young to be a batboy when i saw him in BP. The thin air is definitely making the balls travel farther, but otherwise I don’t even notice. Absolutely. Thanks for asking. I would be honored. I think the Wilpons could’ve handled it better, but I support their decision. New York City is a “win now” place, and Willie failed to win. He also said some stupid things and caused a major distraction for his players and accused his bosses of being racist. If that’s not a reason to be fired, I don’t know what is. Jerry Manual is a good choice, at least for now. And yeah…I plan to blog every day while I’m here, although I might not get a chance to blog about Friday’s game until I’m back in NYC. I’m not writing for minorleaguebaseball.com this season, but yes, I used to write the occasional Appy League story. I heard he answered you already. If that really WAS Manny Acosta, Id have paid good money to throw a ball AT him. Haha. after that i decided to get Pedro Martinez attention by asking him for a ball in Spanish… after 20 minutes of begging i moved up got on a chair hit my glove alot and was determined to get a ball hoping it was a Shea commemorative. he looked into my eyes and finally threw a ball towards me… i leaned forward and made THE GREATEST CATCH OF MY LIFE!!! my best moment at a baseball game by far Pedro Martinez just threw a ball at me and it was a commemorative… don’t want to write an even bigger book right now Zack… so ill wrap it up. 1 once in a life time experience! PS. what is the next Shea game you are going to… i think i am going to is sept. 9th or 10th… maybe we could meet up there and you could teach me some of the tricks of the trade.